So, I’m on a little running ban. No running, no Strava, not even a peek. Most people might take the opportunity to put their feet up for a while but I’ve never been good at keeping still, so I’ve been looking for some new challenges to keep me out of trouble this week. 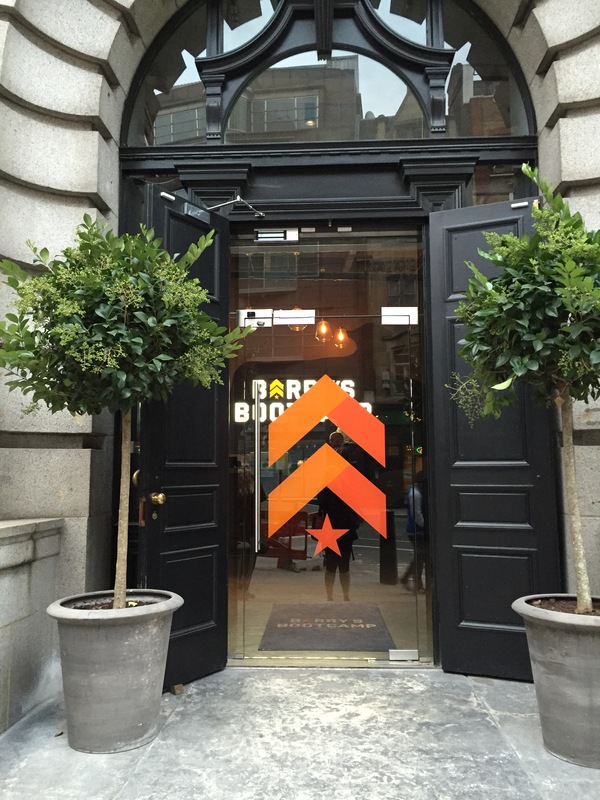 This morning I went to an F45 class at a new studio in London Bridge. I had no idea what F45 was, but apparently it’s the latest fitness craze in Australia which launched in the UK a couple of months ago. The celebs love it (obvs) and a quick google search told me the guys look like this…so I thought it was worth getting up at 6am for. They describe F45 as ‘the most innovative, challenging and systemised team training workout in the world’, what that means is you get a high intensity workout combing strength and conditioning, as well as cardio. There are 10 different styles of programmes which they mix up so each workout is unique. Turning up at the studio, I was greeted by a friendly lady who checked me in and set me up with a heart rate monitor. When you become a member you get your own, but as a guest I was to be Batman for the morning (seriously, I was Batman, best morning ever). The monitors link to screens in the studio so you can see what everyone’s heart rate is and %max, I thought this was great as you can see exactly how hard you’re working and whether you’re slacking compared to everyone else! The classes are quite small, there were 7 in mine, and with 2 instructors on the floor they can give everyone individual attention and even remember your name (sadly, they didn’t call me Batman to my face), it made a refreshing change to the usual packed classes you can get. There were 9 stations in total, you spend 2 minutes at each station doing 45 minutes work and 15 seconds rest before having a 2 minute break and doing the circuit again. We started with a quick demo of each station and a warm up then got started. I started on the rowing machine, which I was happy about because I’m an expert at those, then moved on to reverse burpees with plyometric jumps, errr, what was that again? Luckily each exercise is demonstrated on the screen in front so you don’t look stupid in case you forget, didn’t make me any better at it though! Next up was weighted lunges with shoulder bags, floor ladders with kettle bells at the end and then wheelbarrows, the ultimate team exercise that makes you feel like you’re back at school sports day. I was always rubbish at school sports day, today was no different! Finally we had some bunny hops over benches (high benches, more like hare hops…) and weighted sit ups. Then we got a full 2 minute break before going round again, yayyyy! The screens round the studio show a countdown clock so you know how long you’ve got left of work or rest and you can keep an eye on your heart rate. By the end I was pretty exhausted and my Batman heart rate percentage indicated I was still alive and worked hard. 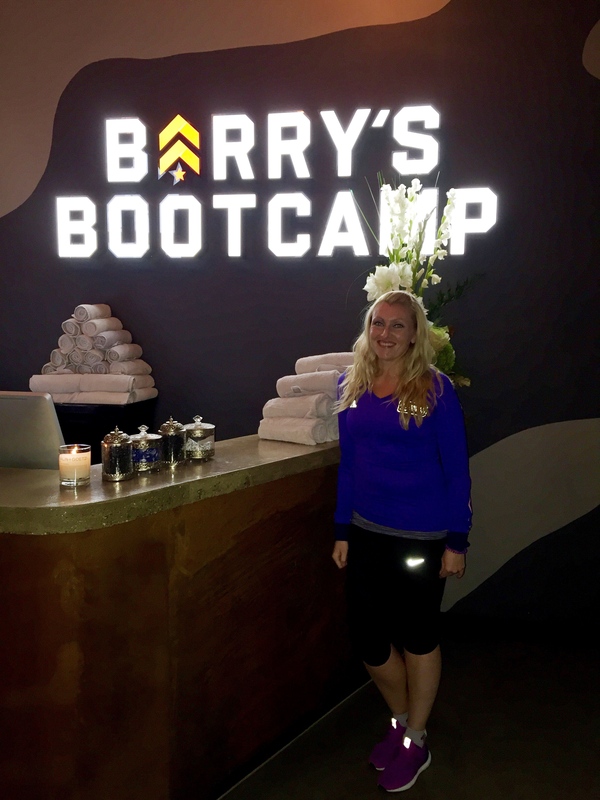 I was genuinely impressed with everything, the workout, the studio and the team were all fantastic and, whilst I’m sure some of the other classes are much busier, I enjoyed being in a small team. The instructors took the time to help you, and modify the exercises for your needs, which was really helpful for my runner limbs that don’t always do what I tell them to. This morning I was at an Athletica class, which is slightly more cardio focused, but you can also go to a Romans class with more weights based exercises, or a Hollywood class which I’m sure is full of surprises! Currently there’s a studio at London Bridge but I believe there will be another opening in Clapham soon which is perfect for me! You can get a 7 day free trial on their website so it’s definitely worth a go, I’ll be heading back for a Romans class when I’ve recovered, I just hope I can be Batman again. My latest trick is to whiz up a handful of spinach, a frozen banana and scoop of whey protein with some milk, it tastes like a creamy milkshake but with loads of good stuff! I find that, because it’s a drink rather than solid food, it goes down a lot easier and will tide me over until my appetite makes an appearance. Whilst I often prefer to make something fresh from scratch, my life can be pretty hectic and it isn’t always practical. If it’s race day, or my run finishes away from home, a couple of hours can fly by before I even think about food. Really not ideal. 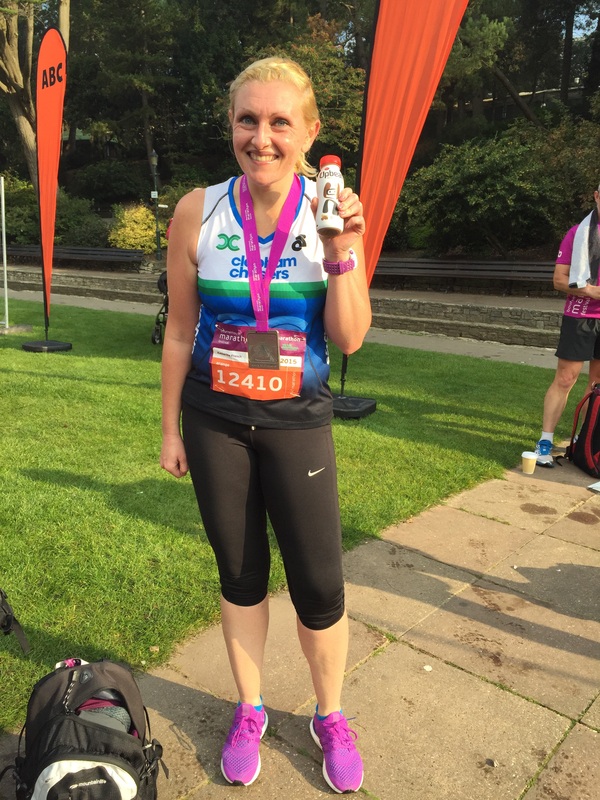 Yesterday I ran the Bournemouth Half Marathon and, as I pushed myself much harder than I would on a training run, I ended up feeling a bit sick at the end. It’s not new to me, my body concentrates its efforts in pumping blood to my muscles rather than my stomach and I just don’t feel hungry, I’m not one of those people who can delve straight into the goody bag for snacks no matter how good they are! 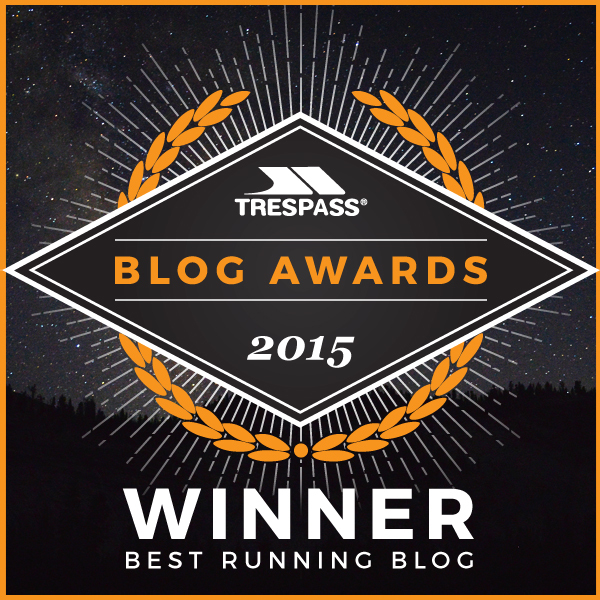 I thought it would be a great opportunity to give Upbeat a try for a post-race protein boost. Yesterday I tried the Choc Orange one, which was a bit like a decadent milkshake, but I’ve also tried the Strawberry, and Raspberry & Blueberry flavours which taste a bit more like a fruity yoghurt drink. Personally, I think they’re a convenient, simple way of re-fueling post run when you don’t have the time (or appetite!) for something more complicated, and they taste pretty great too! I’ll definitely be keeping a couple in my fridge for my next race. 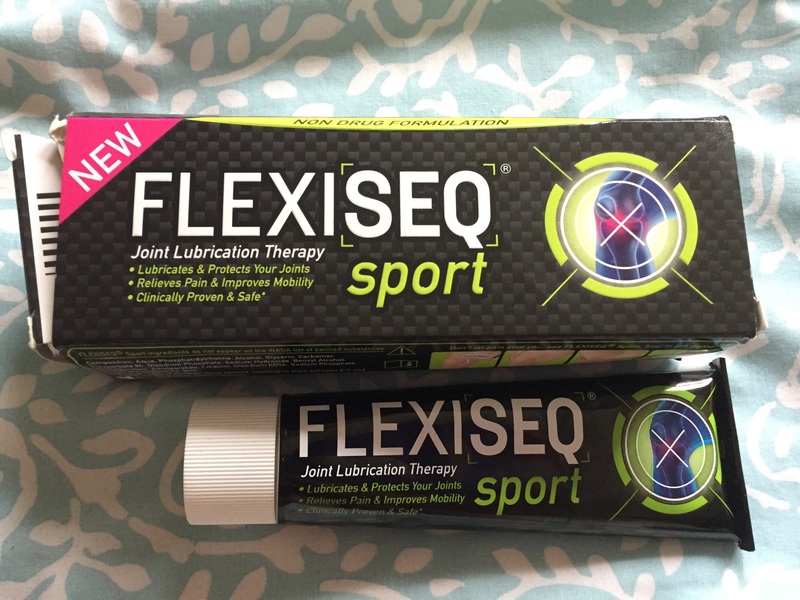 I know some people have an issue with protein supplements but, personally, I find it an easy way to give my body what it needs after a tough session. Running causes micro tears in muscle fibres which need repairing and, if you’re anything like me, you need that to happen quite quickly if you want to be back on the run within 24 hours. 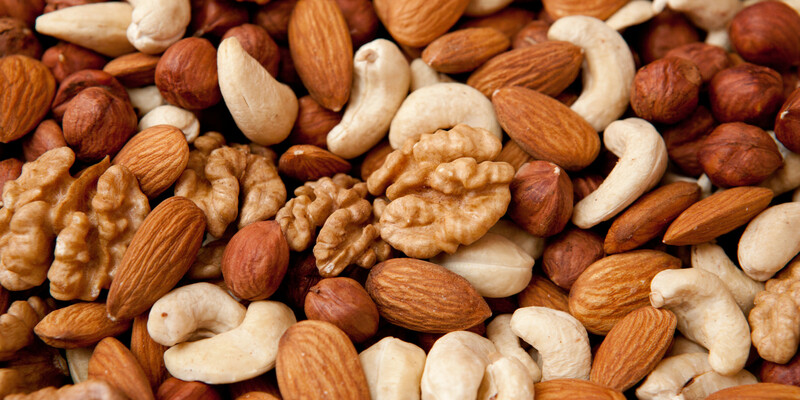 Protein isn’t just for body builders, us runners need it too! 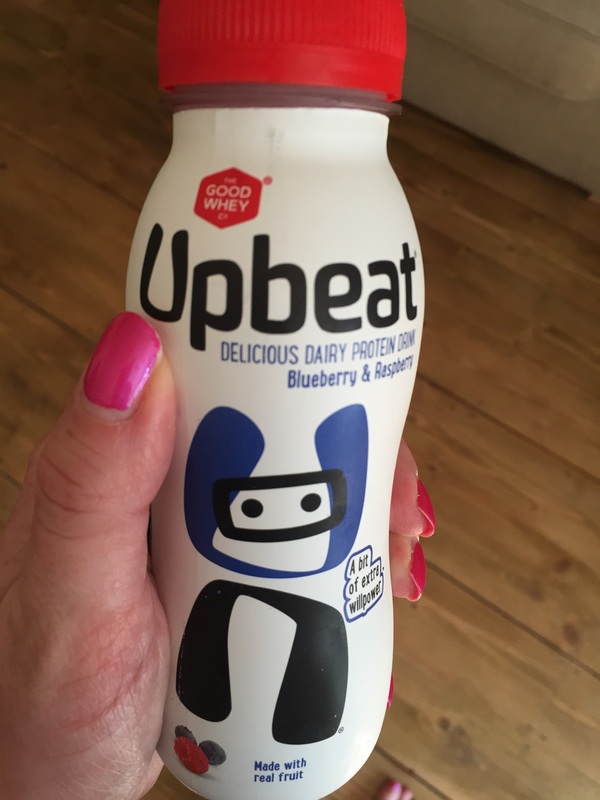 You can find Upbeat in the chilled sections of larger supermarkets and Holland & Barrett. Upbeat kindly gave me some vouchers and merchandise to try out their products but all views are my own. Ever since I got my Nutribullet at Christmas I’ve been absolutely obsessed with blending any kind of fruit, veg, nut & seed I can get my hands on. I’ve just about got used to people at work asking me ‘err, what kind of pond life do you have for breakfast this morning Katherine? !’ I’ll admit it, I’ve been totally taken in by the marketing hype around ‘nutrition extracting’ and I even start to crave blended spinach & avocado if I go a couple of days without…hey, there are worse things I could crave!! 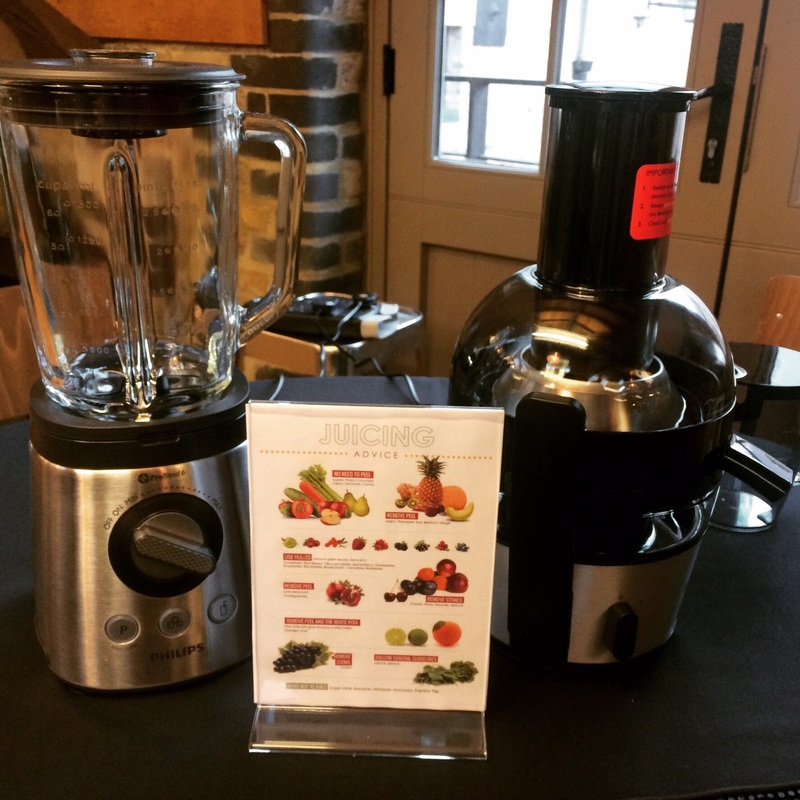 I’ve read a lot about the benefits and pitfalls of blending and juicing recently so when Joe Blogs invited me to an evening of juicing vs blending hosted by Currys and Philips, I couldn’t wait to hear more from the experts! 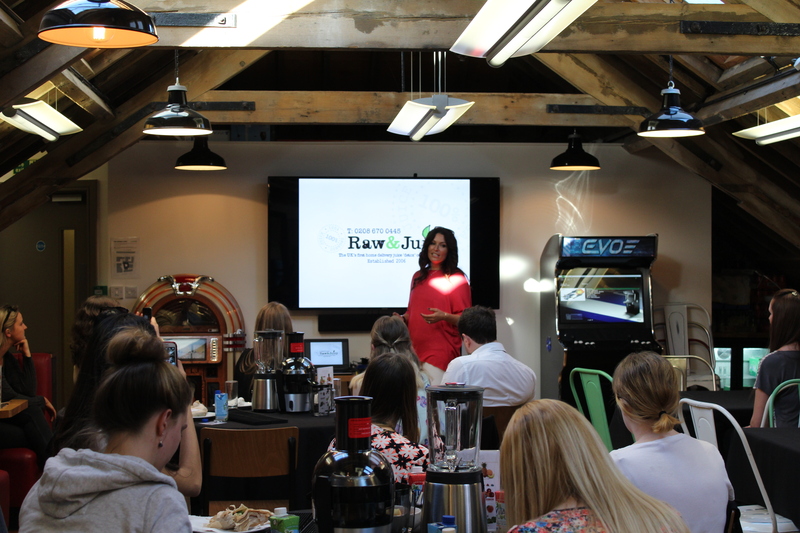 Meeting at Joe Blogs head office in Kings Cross, I joined some other bloggers to find out who the real winner was in the battle between juicing and blending. It was a fight I was looking forward to! 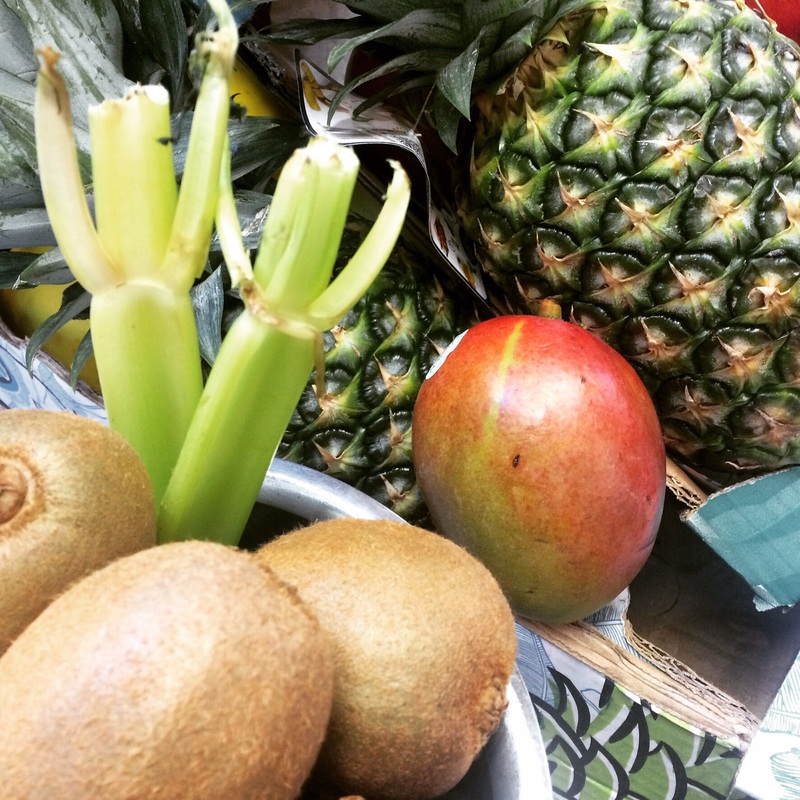 Juicing essentially extracts all the water and nutrients from produce and discards most of the fibre leaving behind a pulp. The first thing I learned was that there are 2 different types of juicer you can use…I just assumed they were all the same! These juicers have fast rotating blades that quickly grind the fruit and veg into a pulp. 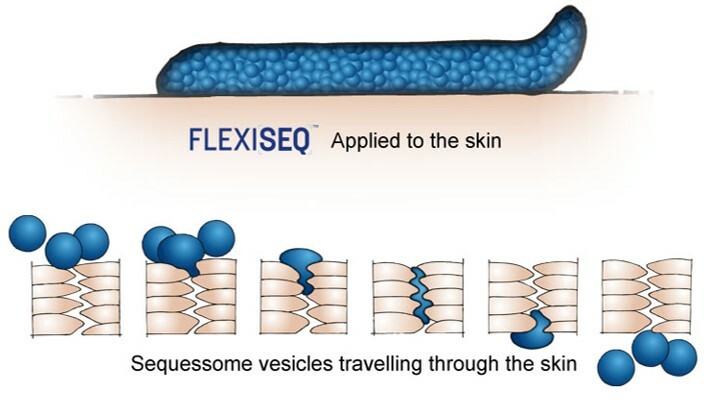 The upside is that food needs little prep in the way of peeling etc but the downside is that you can lose a lot of enzymes which, in my opinion, defeats the point. The other type is a masticating juicer which juices the fruit and veg much more slowly and thoroughly to preserve more flavour, vitamins and minerals. However, the downside to this is that the preparation takes more time and effort and, from what I’ve seen, these type of juicers are more expensive. Huge nutritional density due to the volume of produce used – it takes 12kg of carrots to produce 1 litre of juice! 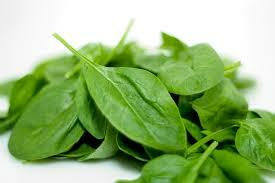 Lots of wastage – juicing leaves behind a lot of pulp that isn’t needed. However, you can use this creatively and turn the pulp into ice lollies, compost or add to soups! Not entirely sure about a carrot pulp ice lolly but I’m sure pineapple and raspberry would be delicious! Requires lots of cleaning – there’s no getting around this one, juicers are messy! 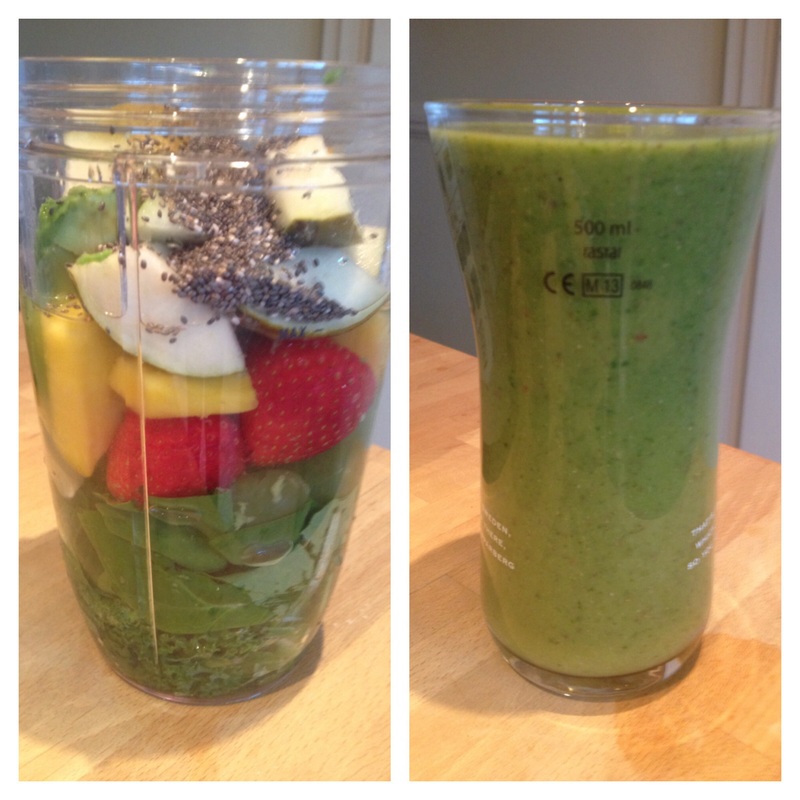 Blending differs from juicing because it liquidises the whole fruit or vegetable and turns it into a thicker smoothie. It’s also worth remembering, a smoothie isn’t a drink, it’s blended food, so knocking it straight back will put a strain on the digestive system. Unless you shove a whole plate of food in your mouth at once you shouldn’t do the same with a smoothie! So, on the one hand you’ve got juicing which gives you a dense nutritional burst and on the other you have blending which offers you a wider range of nutrients and fibre…I think we might have to call it a draw! 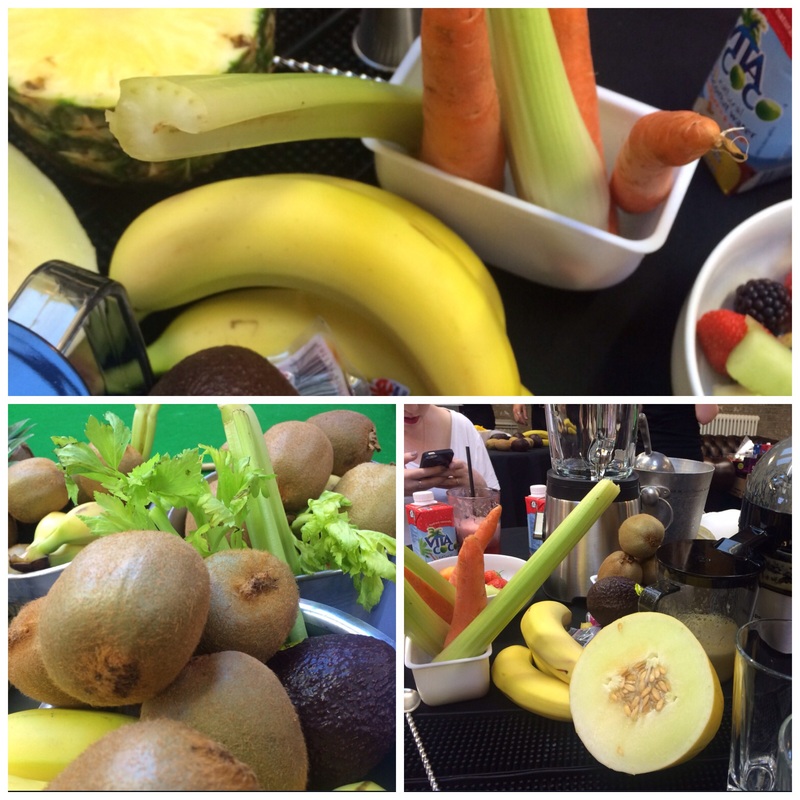 Next was the fun bit, we got to make our very own juices and smoothies using loads of fresh fruit and veg! A team of people from the Cocktail Service came to show us how it was done. Apparently, the concept of juicing and blending dates as far back as 150BC where there was evidence of people mashing up pomegranates and figs! 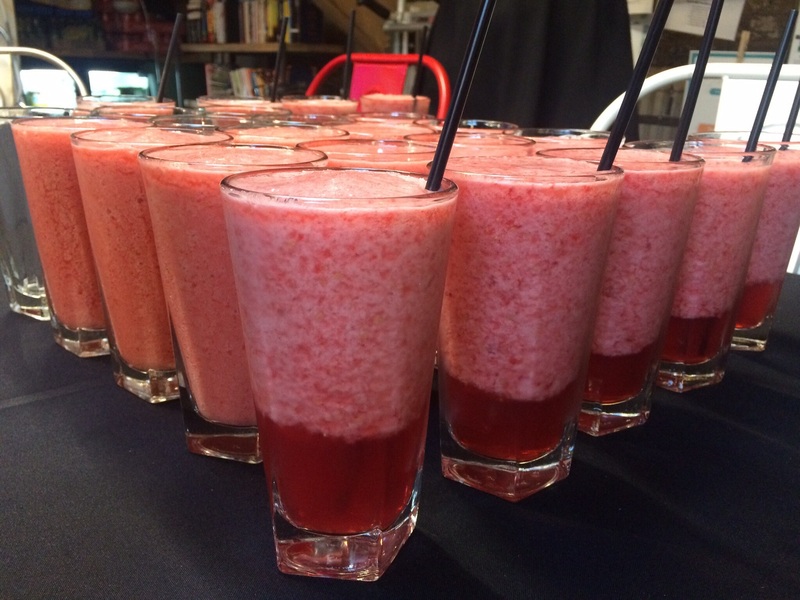 The first drink was called Berries Matter, a mocktail which was expertly made for us in a blender. This was a mix of cranberry & pomegranate juice, strawberries, raspberries, agave (natural sweetener) and ice. It tasted lovely, I wasn’t sure it actually needed the agave syrup but I guess it may have been a little bitter without it. Because of the juice content, the liquids started to separate quite quickly so it’s definitely one to enjoy straight from the blender. Then we got to have a go ourselves so Bonnie, Lorna, Emma and I got cracking on a Tropical Smoothie. First we used the Philips Viva 700w juicer to juice half a pineapple and 6 kiwis. 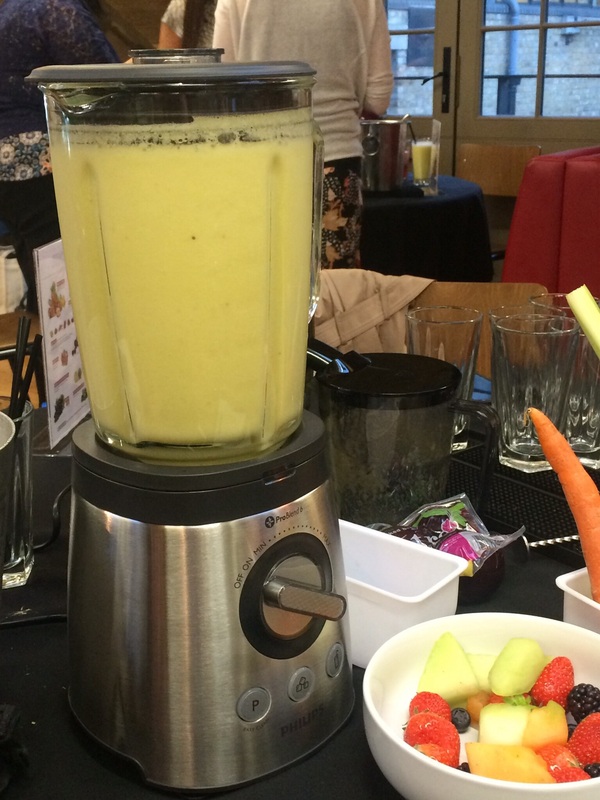 We then put the juice in the Avance 2L blender and added 3 bananas, a mango and half a melon. 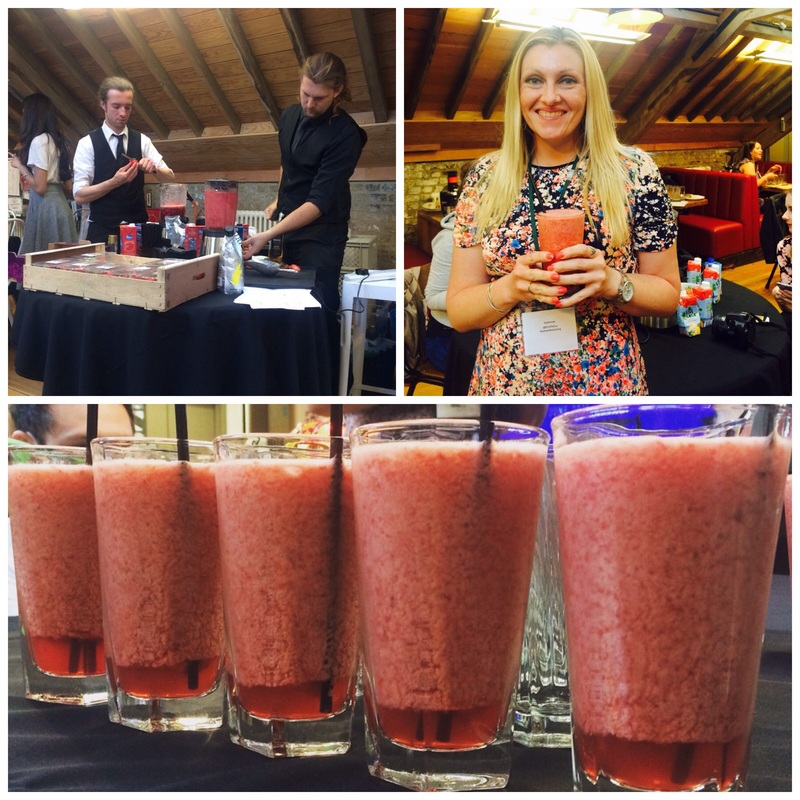 Topping up with ice, the mixture was blended and made around 5 smoothies – delicious! We then moved on to a vegetable based drink called the Booster. We juiced 3 large celery sticks, 3 carrots and a pack of 4 ready prepared beetroots, this was then added to the blender with an avocado and more ice. Apparently pre-packed cooked beetroots aren’t the best for juicing as they are so soft so they turn to pulp very quickly so we added another one straight into the blender. 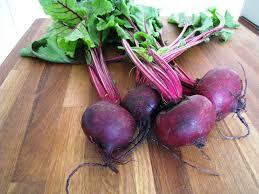 If you’re going to juice beetroots, raw ones are best! This one wasn’t to everyone’s taste but I actually quite enjoyed it. I think because the last 2 drinks were quite sweet it was a bit like having pudding before dinner! All in all it was a lovely evening, something I didn’t expect to say about spending my evening juicing celery! I’ll be sticking to my morning smoothies but, if I had more time I would definitely consider adding some fresh juice into the mix too. By the end of the night, and please forgive me, I couldn’t help but think these drinks would be great with a bit of vodka…now that would have been a knock out! I would like to thank Joe Blogs, Currys and Philips for having me. Whilst I was invited to take part in the evening, I was not paid to write this post. All views, as always, are my own. 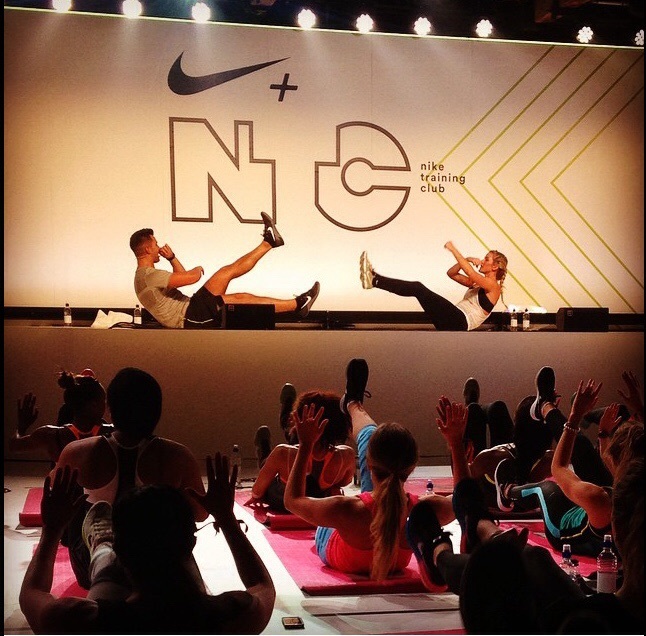 When an email landed in my inbox from Nike Women inviting me to the exclusive launch of Ellie Gouldings’ new Tighten & Tone N+TC workout with none other than Ellie herself I couldn’t reply quick enough! 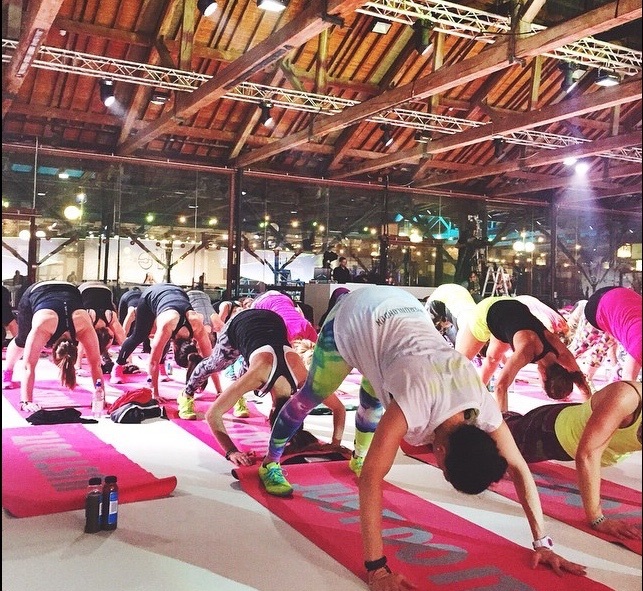 The venue was Tobacco Dock in East London where I joined maybe 300 other like minded ladies bubbling with excitement and ready to get sweaty on the mat. 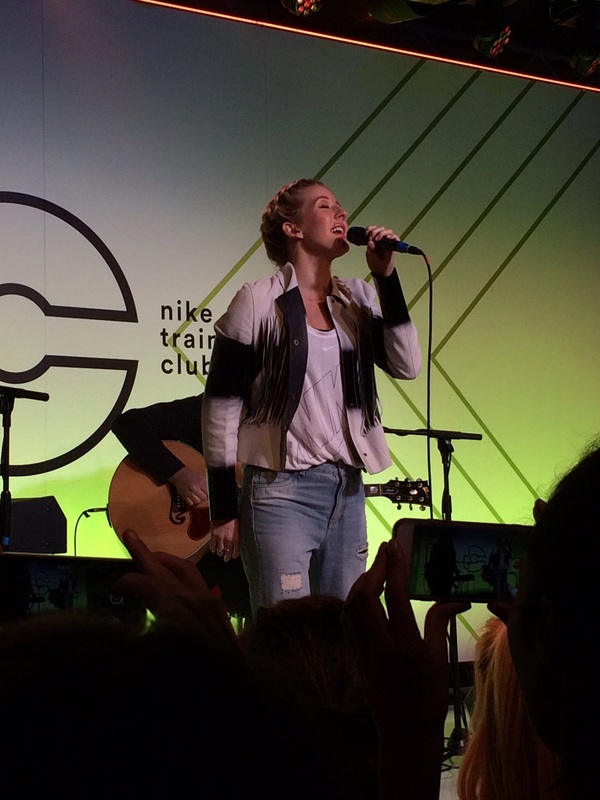 There was a small stage at the front and the evening kicked off with a stunning acoustic performance from Ellie who treated us 5 or 6 of her hits including the current number 1, Love Me Like You Do and one of my favourite running tracks, Anything Could Happen. Despite being an international superstar, she told us she was feeling shy. She needn’t of been because we all loved her, and even more so for being so normal, but she was clearly putting her heart into her performance. It was bloody brilliant! 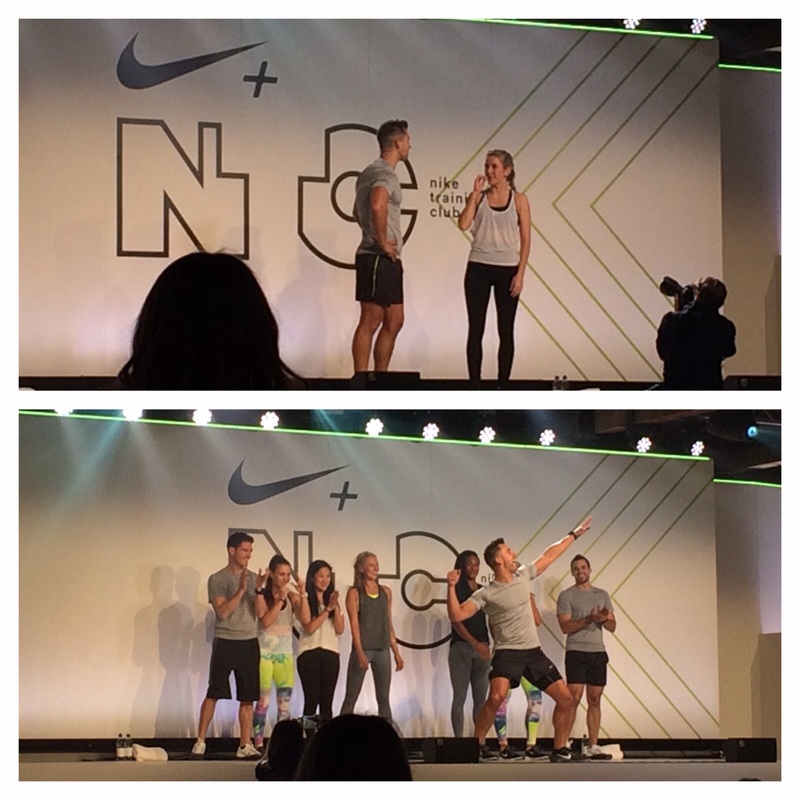 The Nike Master Trainers were introduced on stage together with Ellie’s personal trainer, Faisal, who would be leading the session with Ellie. Ellie has been a bit of a fitness freak for some now and she’s also a keen runner so I knew the workout would be beneficial to my marathon training. We started the session with a good warm up before getting stuck into the Tighten & Tone workout. I wasn’t entirely sure what to expect but it’s only a 15 minute workout, how hard could it be? I was expecting an easy ride. I was wrong. Tighten & Tone is a combination of high and low intensity intervals designed to activate the core, strengthen the arms and work the legs. 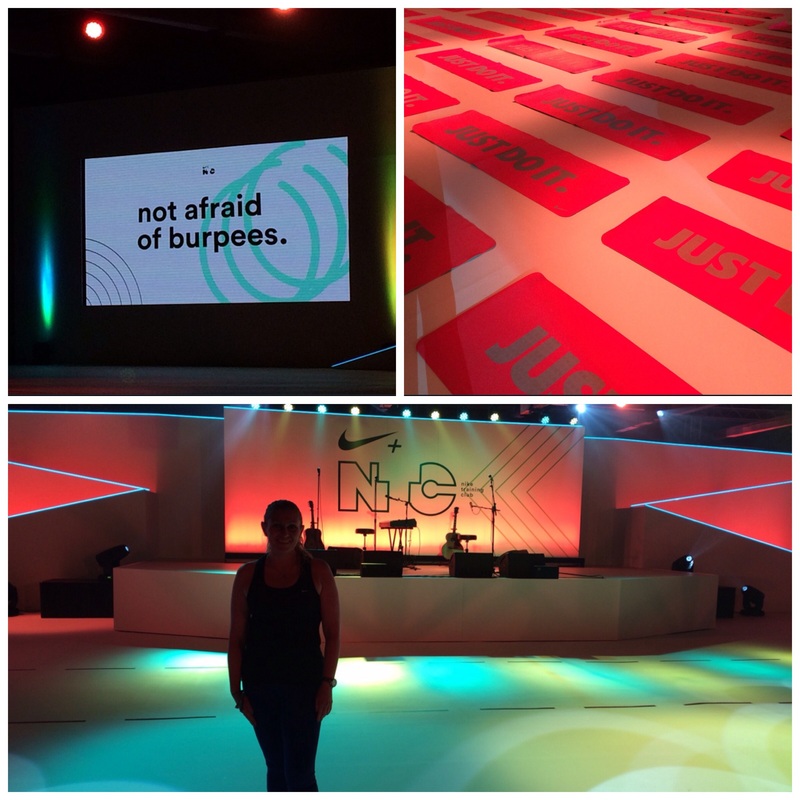 We completed a range of exercises including burpees, planks, pike push-ups, squats, thrusts, seated scissor kicks (ouch!) & lunges for 30-60 seconds with a couple of 10 second rests if we were lucky. The Nike Master Trainers were dotted around everywhere checking we weren’t slacking so there was nowhere to hide! Ellie proved herself to be just as fit and strong as I thought and completed all of the exercises with graceful ease. How was it? More intense than I thought and definitely one to work up a sweat – there were some real lung busters in there. I’m definitely going to need some more practice at those seated scissor kicks! After the workout we were greeted with a choice of healthy meals, I went for the teriyaki salmon salad, together with a welcome glass of bubbles, it was just what we needed! 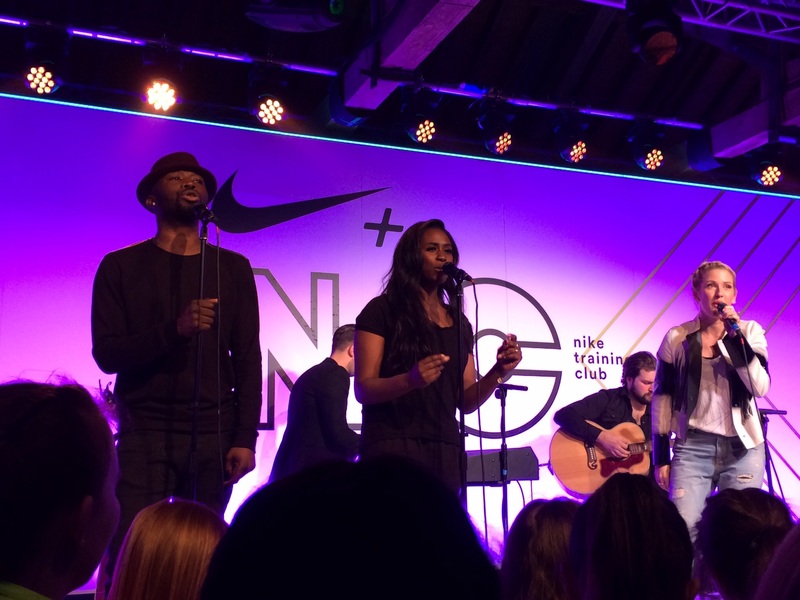 Thanks To Nike for a fabulously fun evening of live music, sweaty exercise, delightful company and champagne! I’ve always been a fan of smoothies, milkshakes (cocktails…), basically anything where you whizz ingredients up to create a fabulous fruity, fresh (ahem, alcoholic…) drink. 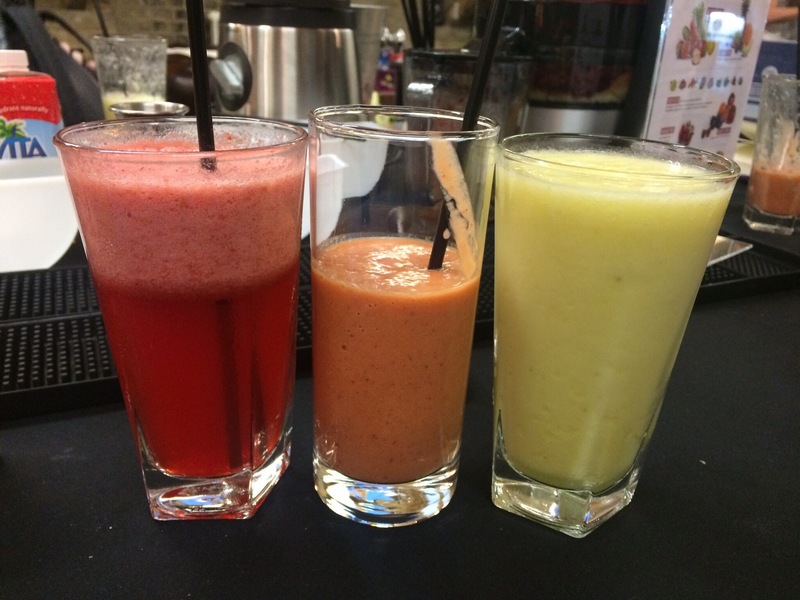 As I became more aware of the importance of nutrition in running, I started to experiment more with different fruits and veg to create drinks bursting with vitamins and minerals rather than less healthy milkshake varieties. 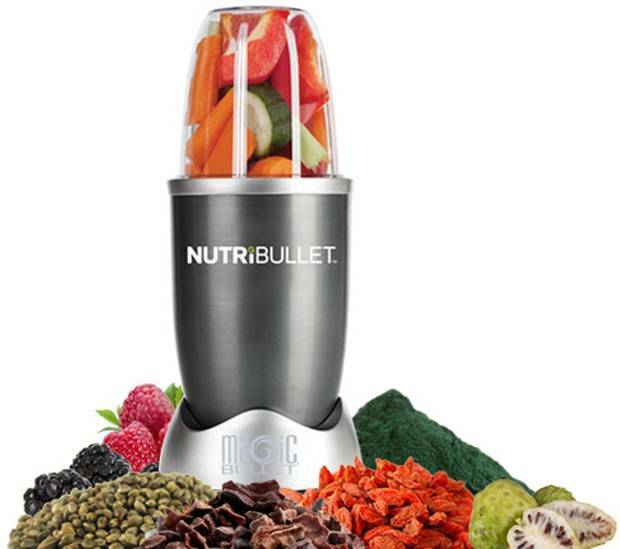 When the Nutribullet started to surface, it positioned itself as a ‘super food extractor’ rather than a blender or a juicer – it claims to break down and pulverise fruit, veg, seeds and nuts so that every gram of nutritional value is ‘extracted’. In my day job I work in advertising so all I heard was ‘blah, blah, blah’, it sounded like a lot of marketing hype to me and an excuse to charge £100 for a blender. I wasn’t convinced. However, as time went on the hype didn’t go away and my friends started raving about it. 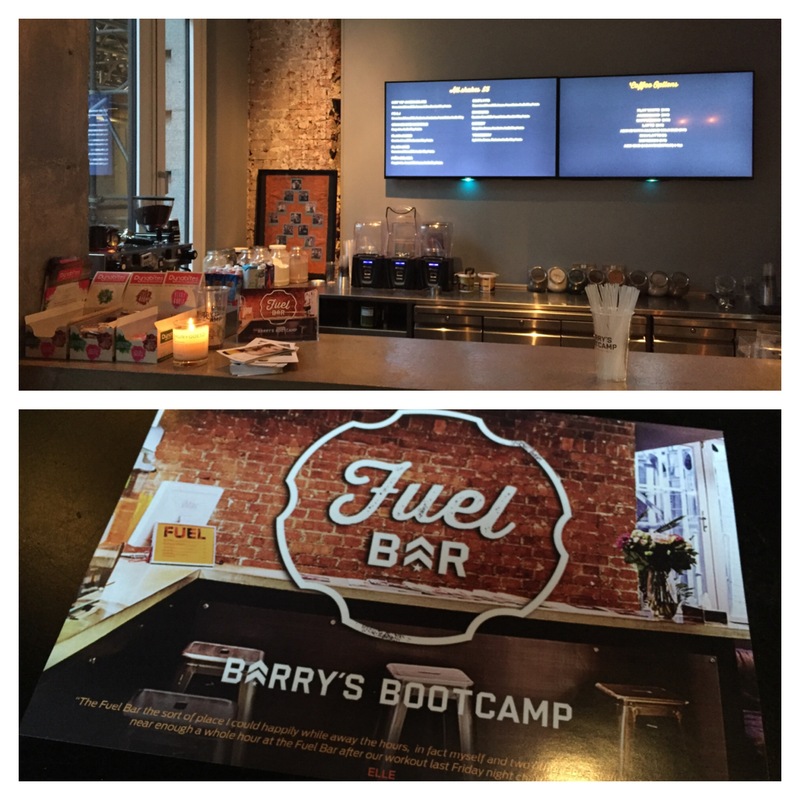 Jealously got the better of me and I caved…6 weeks later I don’t think a day has gone by where I haven’t had at least one ‘Nutriblast’! Essentially, it is a blender, but a very powerful one that can handle seeds, pips and skins, as well as leaves and flesh, which makes it very easy to pump full of different fresh produce to turn into a (mostly!) delicious drink. 4. Finally, add your liquid. Water is the easy choice but I like almond milk for added B vitamins, perfect for tired muscles after a tough run. I’ve been trialling lots of combinations and I don’t think my fridge has ever been so full of fresh fruit & veg! 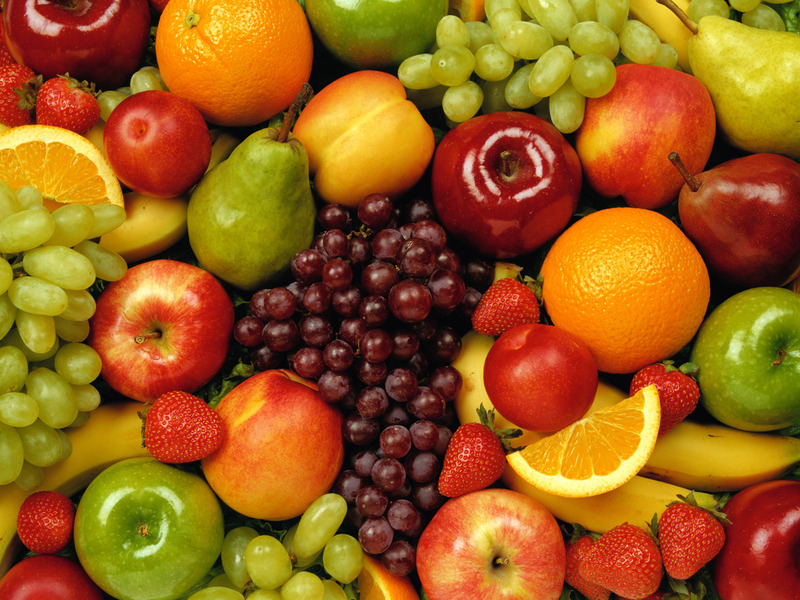 It’s pretty cheap to stock up on seasonal produce so needn’t be expensive and you can often get frozen chunks of mango, blueberries, cherries etc in the supermarket which are easy to store. Avocados have become one of my favourite ingredients, full of potassium, fibre and healthy fats, they give the smoothie a real creamy texture as well as helping to fill you up. Spinach and kale have surprised me because you really can’t taste them when they’re all blended up and give a vibrant green colour as well as packing a firm nutritional punch. Otherwise I’ve been throwing in anything I fancy, bananas, apples, pineapple, pears, plums, kiwis, oranges, peaches, grapes, mango, strawberries, blueberries, carrots, cucumber. I often add half or quarter of a lemon or lime to lift the flavours – take the skin off but just throw the flesh straight in, pips n all. Ginger, chia seeds, spirulina, almonds, cashews, flax seeds, oats and greek yoghurt are all great additions to your daily smoothie and help pack in further good proteins and immune-boosting stuff. Not strictly in keeping with the rules but I’m loving this one I stole from the Nutribullet Twitter page – 2/3 oranges, greek yoghurt, cinnamon and a splash of orange juice, a proper vitamin C hit! Smoothies for breakfast are a great start to the day – you can immediately load up on at least 5 fruit and veg varieties and pack in loads of good stuff to make you feel great before you even leave the house. Unfortunately ready-made smoothies from the supermarket are often packed with additional sugar and preservatives and were made some time ago so I would stay clear of these – stick to your home-made delights. 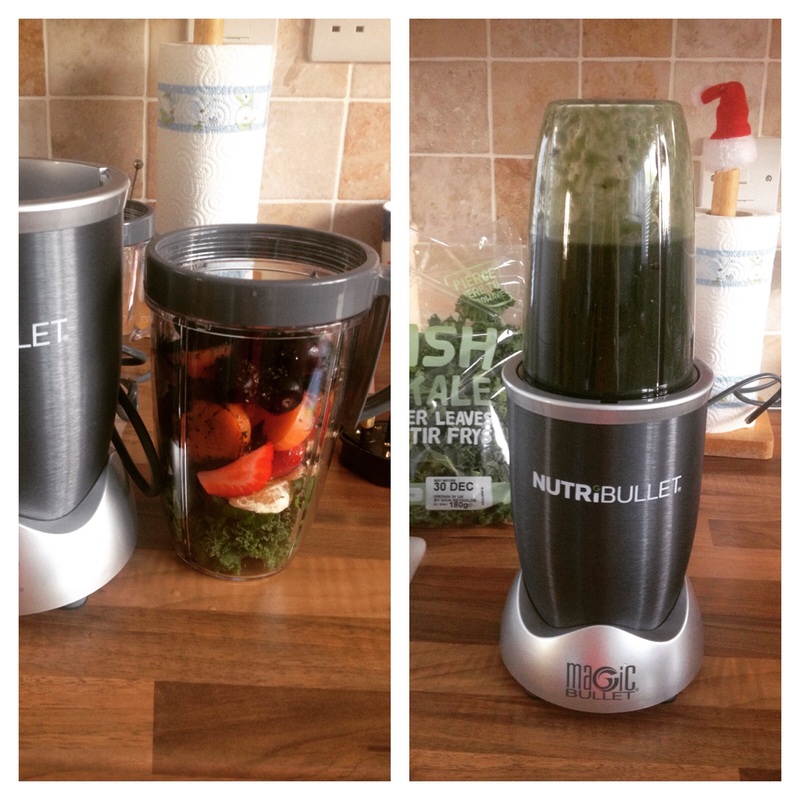 This week the Nutribullet has come into its own for me. On Wednesday I had a wisdom tooth out under general anaesthetic, I’ve never had a general before so I was a bit freaked out and have been left with a sore, stiff jaw and a gum sewn up with some kind of dissolvable stitches, as well as feeling more than a bit woozy. Needless to say running was off the cards for a few days, but so was regular food. 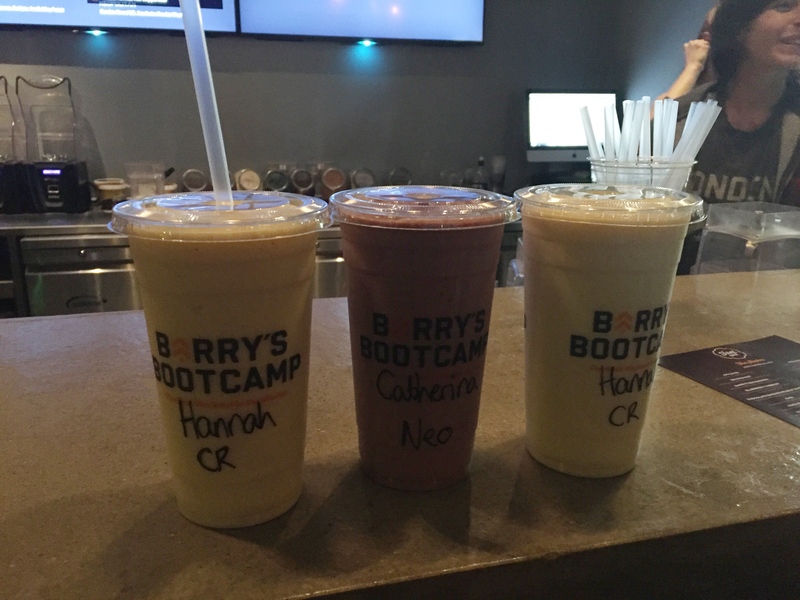 I made the most of my smoothie obsession and dutifully planned out 3 nutritious smoothies a day to force myself to be healthy even if I wasn’t hungry. Fresh food, especially fruit & veg, is always the fastest way to recovery and I’m aiming to be back in my trainers tomorrow!